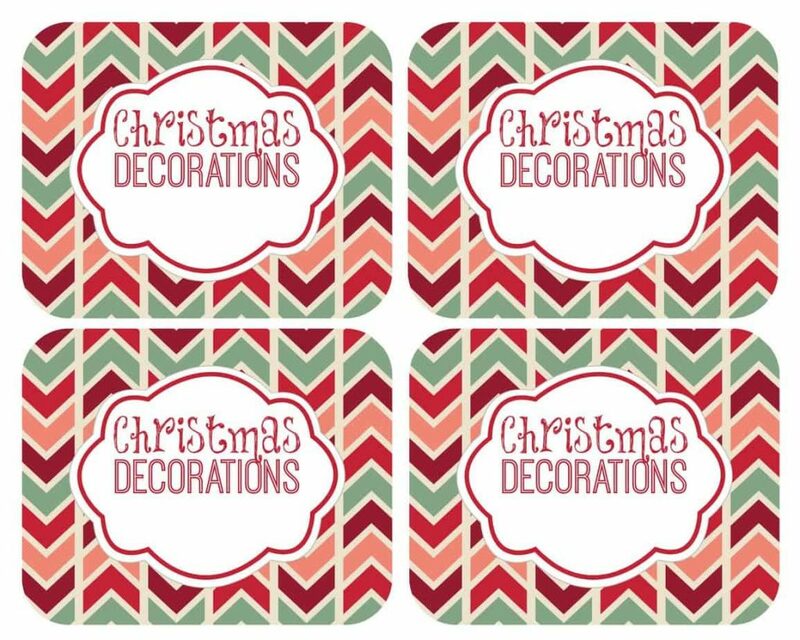 I’ve spent the last few days taking down all the Christmas decorations and I’ve found some great tips around blogland. I really dislike having to take down all the holiday decorations but the idea of putting it all away in an organized manner makes it a little easier. Tip #1: Make an ornament holder with plastic cups. Thanks Mom’s Party Cafe and The Vintage Modern Wife for sharing this awesome idea! 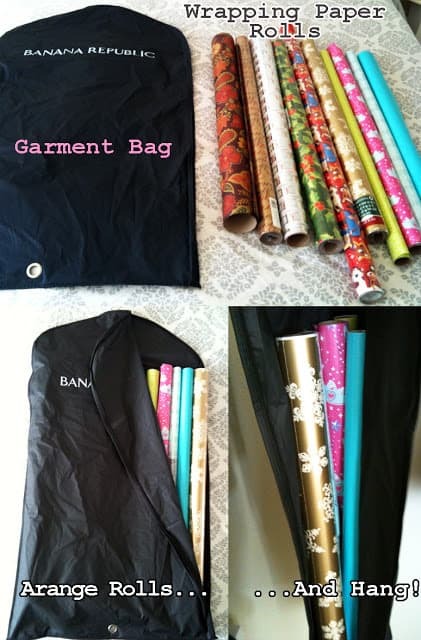 Tip #3: Use a garment bag to store holiday wrapping paper. How I have I never thought of this? Practically Martha – you’re a genius!! This is also a great tip for all wrapping paper. Tip #4: It’s amazing what a little cardboard can do! 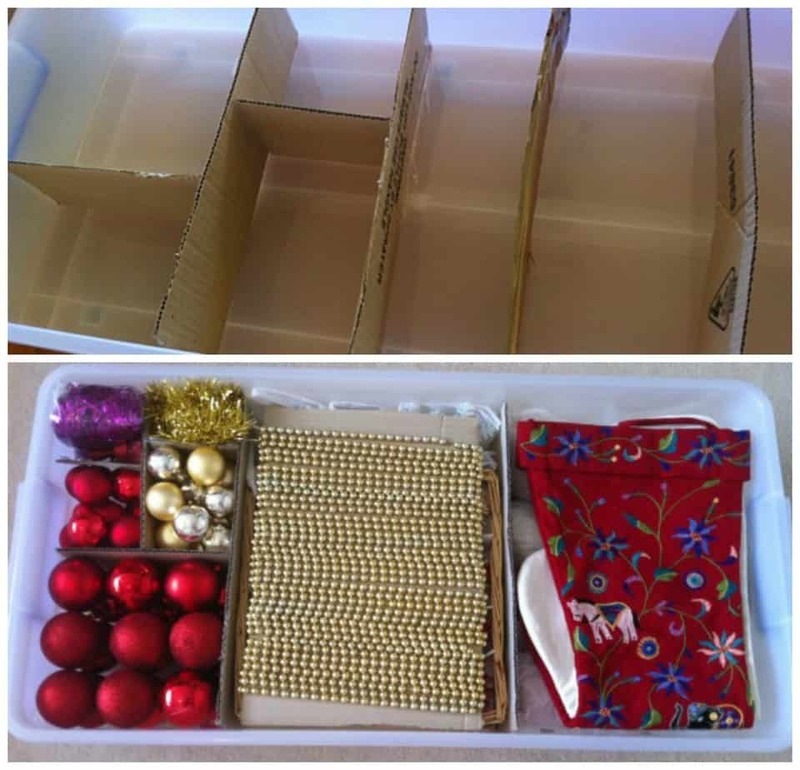 Ness from One Perfect Day shares her perfectly organized holiday bins. Tip #5: And it’s always fun to have cute labels for all those bins. Here are a few that I made. Download HERE and print on full sheet label paper. You can write what is in each bin or customize using Picmonkey. Just save to your computer. Then open in Picmonkey and add text. Now it’s time for a fun giveaway. 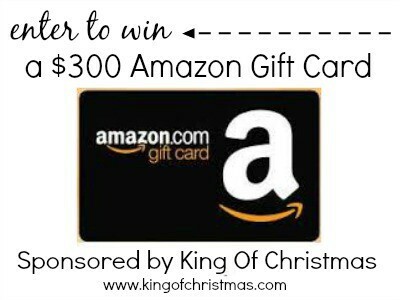 I’ve teamed up with a great group of bloggers to give away a $300 Amazon Gift Card. Thank you King of Christmas for sponsoring this awesome giveaway! 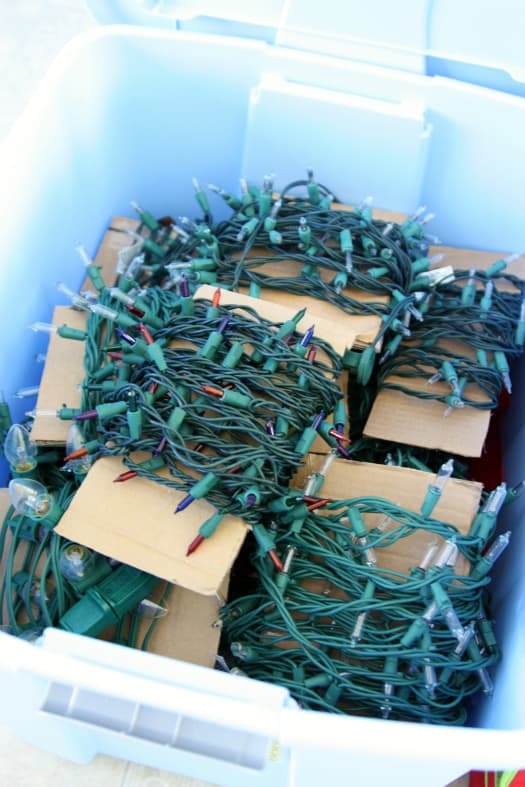 Shop Pre-lit Christmas trees, Unlit Christmas trees, and Giant Christmas trees at great prices. This is also the best time to stock up on Christmas decorations for next year. King of Christmas has some great deals on artificial trees. We need a new Pre-lit Christmas tree. I tried to get one this year at Target but waited until the last minute and couldn’t find one that I liked. So now I will definitely be ordering one from King of Christmas. Previous Post: « Believe in Yourself! Wonderful ideas! I have never found a great way to save wrapping paper. The garment bag is genius! This is a great round up of ideas. Thank you so much for including my post. 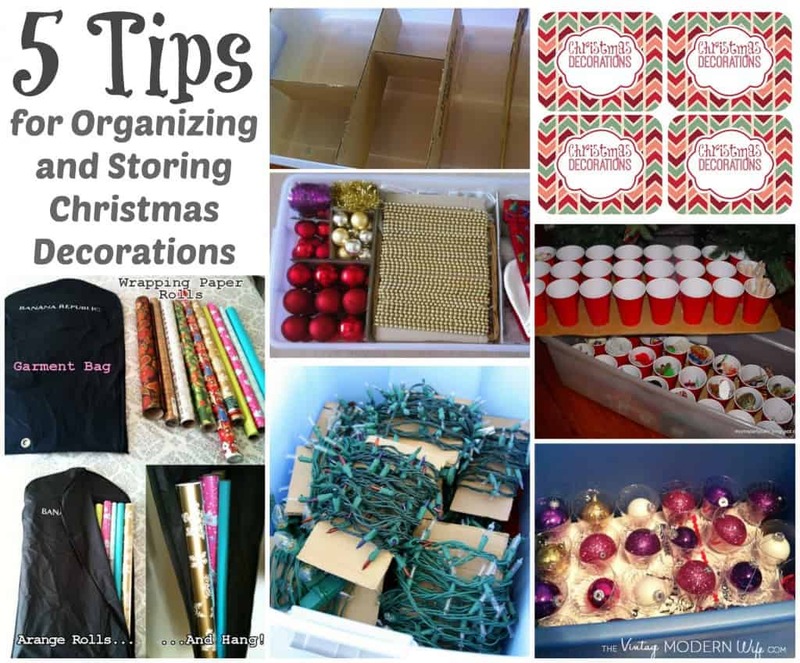 I love the idea of using the garment bag to store wrapping paper and then hanging it all up. I am so going to do that. Pinning to remember it all! And thanks for the gift card giveaway – about to enter! 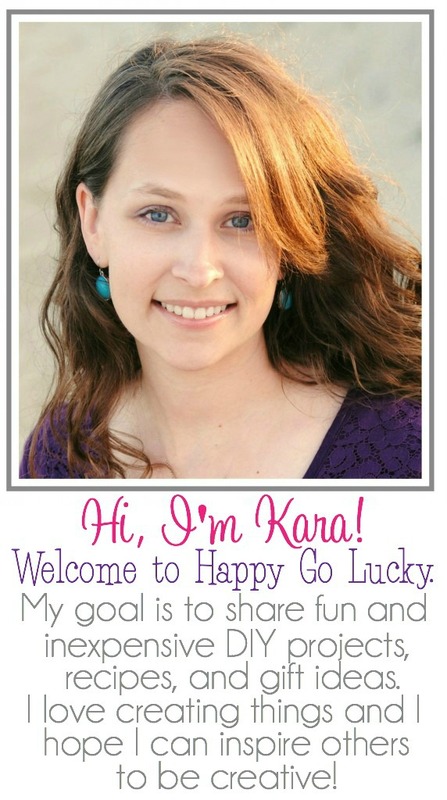 Thanks for the giveaway, Kara! Have a great week!